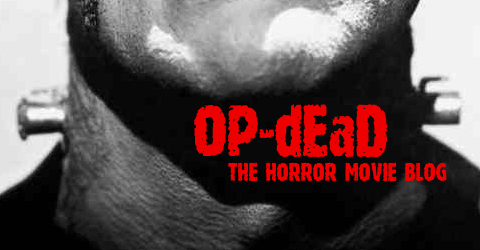 OP-dEaD: The Horror Movie Blog | It is late, and my people are not available. Let me see to your comfort myself. OP-dEaD has always been an undead blog. Now, sadly, it’s dead. At this very moment, the coroner is working on the remains, skillfully slicing his scalpel through muscly verbs, fatty adjectives and stringy adverbs. With practiced care he lifts bloody nouns from dark openings and weighs them in his scale. Still, for all his methodic dissection, we already know the cause of death—too little time and a shift in priorities. But even as you read these words, the contents are being put back in their rightful places, for OP-dEaD wasn’t an organ donor. And every incision is neatly sewn shut. In other words, the blog won’t be deleted anytime soon, especially since some of the posts continue to generate decent amounts of traffic. Hopefully, there’s some useful stuff here for fans of the fantastic. “It is not the end. It is not the beginning of the end. Here’s an entertaining clip from “What’s My Line?” (as in “of work”), with Alfred Hitchcock as the mystery celebrity. Some detective work might have turned up an exact air date, but I’m too lazy for that sort of thing today. At any rate, since he’s plugging Rear Window, it’s safe to assume that this is from August or September 1954. The great man’s droll manner and indefinable charisma are very much in evidence, but notice the bespectacled wisenheimer who fancies himself a film buff. Golly, did Hitchcock, a film director as famous and recognizable as the stars he employed, really make a habit of appearing in his own movies? Tell me more, oh infinite font of arcane movie lore! Geez. Many of the video mash-ups you find on YouTube are astonishing in their complete and utter ineptitude. They’re usually full of editing glitches, spelling errors and poorly synched sound. In fact, they’re so godawful that you begin to wonder how the people responsible possessed the technical proficiency to even get them online. That’s why it’s so nice, and always surprising, to find something as funny and professional as the clip below. It’s been on YouTube for almost four years now, seamlessly blending groovy sixties beats with zombie carnage from Zach Snyder’s Dawn of the Dead Remake. It’s foot-tapping, zombie burning fun! Due to overhanging work commitments, the third part of my Music from “The Elder” retrospective won’t be posted until Tuesday. A big sorry to anyone who might be waiting for the concluding installment! In other news, it took less than two weeks for my guide to Gremlins in-jokes to become the most widely read OP-dEaD post since the blog’s inception. A big thank you to everyone who has checked it out so far, mostly by way of the link I posted at IMDb! 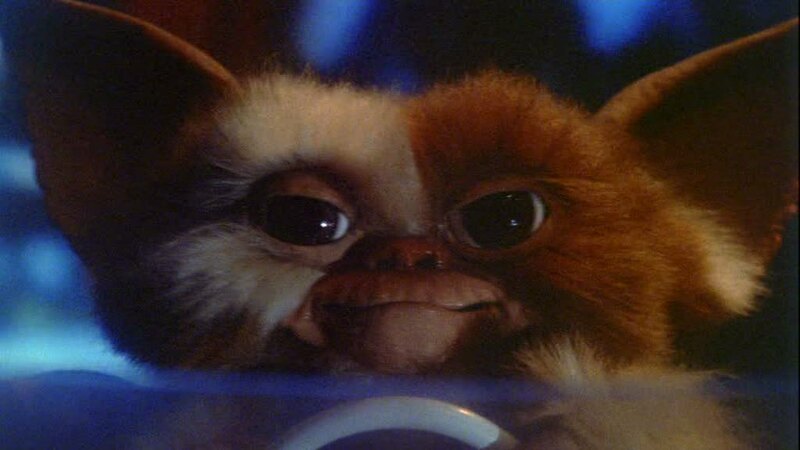 Gizmo was very pleased at the amount of blog hits his movie got. Our Kiss odyssey carries on, as we continue to explore the brave but ultimately doomed experiment that was Music from “The Elder.” Today, our main concern is the album’s story, because every concept album needs, you know, a concept! Music from “The Elder” opens with a short fanfare that segues into “Just a Boy.” Sung from the boy’s perspective, this song deals with his doubts and fears at the prospect of becoming a leader. “The Odyssey,” with its confident tone, seems to be a call to action and optimism from the Elder. Or maybe it’s more a description of ideal, godlike love—a well from which the boy can draw strength. Both interpretations are valid. In “Only You”, the boy is told that he is “the light and the way.” (It seems the Elder must work hard to convince the boy of his importance and latent power.) This song is followed by “Under the Rose,” in which the Elder council extorts the challenges and sacrifices of the task ahead. “The Oath,” the most rocking number of the bunch, is (probably) the boy’s pledge set to music. But is it an oath to the Elder, or the boy’s promise to himself? Whatever the explanation, it’s clear that the timid whelp of “Just a Boy” is now a memory. Song number nine, “Mr. Blackwell,” is possibly the most intriguing story clue. Here, at last, is a specific foe. However, the titular Mr. Blackwell is clearly human. Is he working with the dark, supernatural forces? Or is he merely a corrupter of his fellow men, preying on their weaknesses? Alas, we don’t get to find out. The most interesting thing about “Escape from the Island,” another instrumental track, is its title. Clearly, someone escapes from, um, an island. And that just leaves the aforementioned “I,” a rousing ode to self-empowerment—sung, it’s reasonable to imagine, by the boy. Through all of Music from “The Elder,” we perceive stages of the hero’s journey. It’s classic, very basic storytelling. Interestingly, the narrative, which was devised by Gene Simmons, combines Lovecraftian influences (the ancient gods) with the sword and sorcery genre that was at that moment gathering pace. Still, The Sword and the Sorcerer, The Beastmaster and Conan the Barbarian were a year away, which would indicate that Music from “The Elder” was some months ahead of its time. (Obviously, the genre itself had been established many years earlier.) Not that any of this made a lick of difference to the record buying public. The album sank without trace, and in their quest to regain lost ground, Kiss were forced to come up with yet another musical strategy. 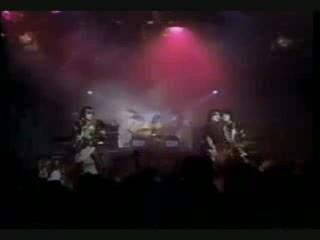 That new strategy was Creatures of the Night, an unapologetic, down-and-dirty dose of thunder released in 1982. By that time, Music from “The Elder” was probably already gathering dust in bargain bins the world over. Too bad, because the songs are all rather good, despite the occasional iffy lyric. And Bob Ezrin’s production is clean and grandiose, perfectly suited to the themes of heroism. For a rundown on the songs, check back on Sunday! 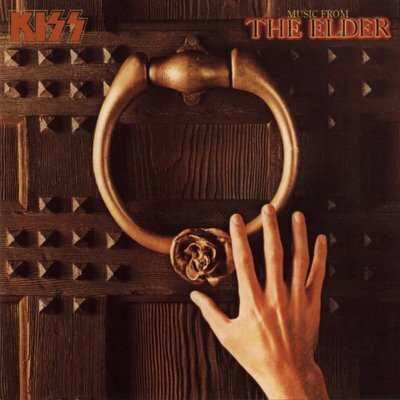 Music from “The Elder” came about at a time when Kiss found themselves at an ironic crossroads. The softer approach of Dynasty and Unmasked, as well as extensive world tours, had increased their global appeal. But at the same time, their newfound pop sensibilities alienated many American fans, who missed the four-headed rock behemoth of old. A concept album wasn’t an advisable way to win the fans back, but that was what they got. The hope must have been that old ally Bob Ezrin, who had recently worked with Pink Floyd on The Wall, would bring some of the old Destroyer magic on board. The result was a flop that hasn’t even reached gold status after nearly three decades, but I’ll take Music from “The Elder” over The Wall any day of the week. Why am I blogging about a Kiss album here at OP-dEaD? And not only a Kiss album, but one widely considered to be mediocre at best? Well, Music from “The Elder” was supposed to herald not only the group’s comeback, but also a movie that was ultimately never filmed—or developed to any significant degree, for that matter. When sales were so dismal, there was no reason to pursue the project further. Which leaves fans like yours truly to enjoy the music and wonder what the resultant movie would have been like.